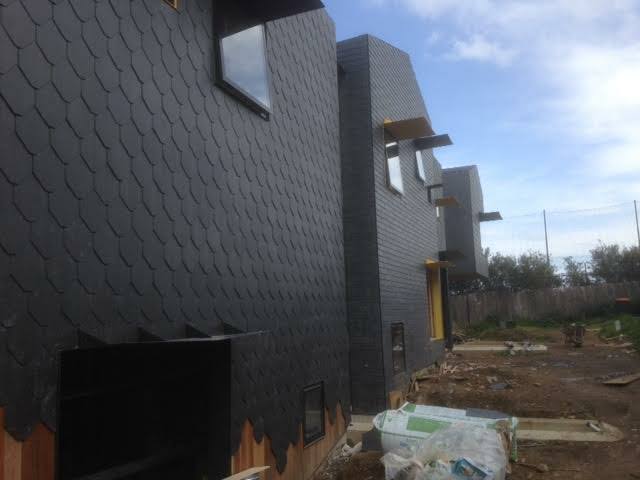 I’m often contacted by Melbourne’s homeowners and builders regarding their’s, or their clients, leaking slate roofs. 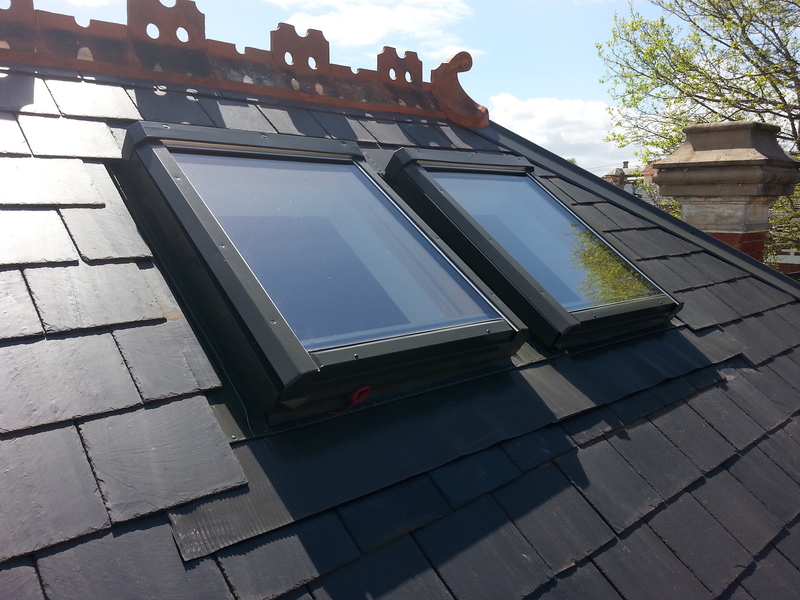 There’s a number of ways that a leaking roof presents itself. The most obvious one is water dripping through ceilings or running down walls causing all sorts of damage during rain. If the leak isn’t a big one, all that may happen is a bit of staining on the paint work. If it’s larger, there may be water about and cracking of plaster as well as paint stains. If you’re real unlucky, and it does happen in heavy rains, sections of the ceiling can give way. In extreme cases the entire ceiling can detach completely if the leak’s a big one. But there are other not so obvious signs that you should also be aware of. 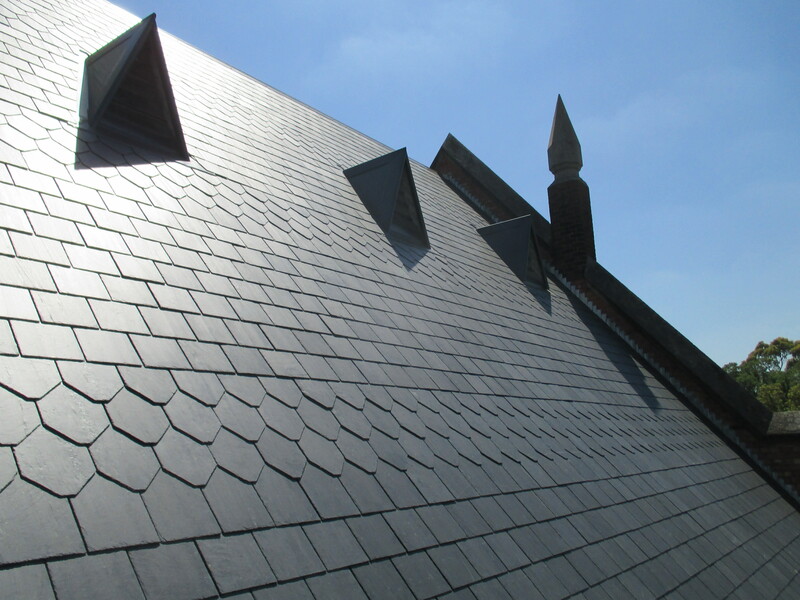 These tell tale signs indicate that all’s not well with the slates on your roof and you should be taking action to avoid expensive repair work in the future. First … here’s a list of probably the most easiest to see signs that indicate you need some repair work. Most obvious and easiest to see is water dripping from ceilings and perhaps pooling on the floor. Next is probably water running down walls. Sometimes it’s noticeable, but sometimes it’s not. Fawny- brown coloured stains up on ceilings. Again, sometimes not very noticeable. Ditto with the staining as above but on the walls. Mould and mildews growing on ceilings and walls. Small flakes of plaster or paint that suddenly appear on the floor where they shouldn’t. Damp musty type smells in rooms or even closets. This one shows up most often when there’s a heavy or steady rain going on. If the water’s coming through the ceiling in a room that’s not often used or even in a part of a room where no-one walks near, you may not even notice it. Really just depends how big the leak is. You may even hear the water dripping onto a floor or furniture before you see it. The first you may know of a leak coming through the ceiling is the sudden appearance of a pool of water or a damp spot on some carpet or even a bed. You’d be surprised how often a leak develops over a bed... really inconvenient during the night. Water leaking down walls is more difficult to see than from ceilings. It can and often goes unnoticed for quite a while till the damage is obvious. By then the damage to plaster and paint is much larger and costlier to repair. Water runs down walls most times pretty quietly so you don’t usually hear any dripping. As far as damp spots on floors these can usually go unnoticed for a while as well. I mean,they’re right up against the wall where there’s no foot traffic to feel it unless it’s a really big leak which then causes the water to spill out a bit and then perhaps spotted or walked in. If the leaking is only slight there may only be some small water stains on your walls and ceilings. These are always a rusty fawn type of colour. Depending on the color of your walls and ceilings its sometimes difficult to identify this staining when they’re the same or a similar color to the paintwork. The problem here is that most of us don’t really look up at the ceilings too often so they can go on for while before being noticed. 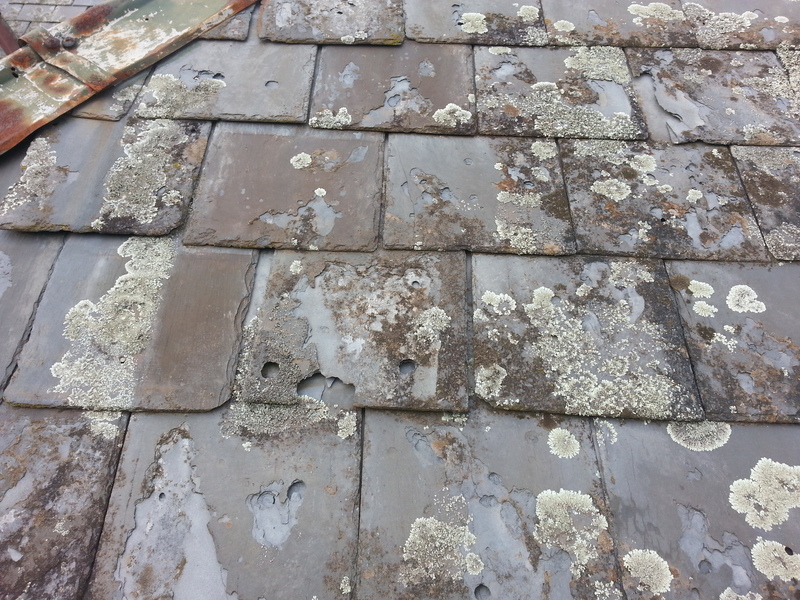 If the roofs been leaking a while and the area remains damp the stains can also be a grey or black colour indicating moulds and mildews are growing. You mainly see these mould areas on ceilings or the top areas of walls. How these areas remain damp allowing the moulds to grow is the insulation batts, or wool ,sitting on the ceiling itself, gets wet and stays wet causing damp conditions that moulds or mildew love to grow in. Again, you may not even notice this high up on or near the ceiling in dark corners. For obvious reasons it’s most often that paint or plaster flakes appear on the floor while its raining … but it doesn’t have to be. Sometimes a small continuous leak in the same spot over a period of time can weaken plaster or cause paint to lose its adherence without you noticing. All of a sudden, weeks or months later, there’s a bit of natural movement in the home, or even a window or door gets shut a bit harder than usual and causes the damaged area to let go and fall. Have you ever walked into someones home, or even a room at your own house, and instantly smelt a musty kind of odor. It’s really difficult to describe this smell as it’s usually a bit of a subjective thing and different people describe it differently. Best description I think is a musty type of smell, particularly in rooms that have been closed up for a while. I’ve smelt this enough times now to instantly recognize that the musty smell is dampness somewhere in the room. It is true that this dampness is maybe being caused by rising damp and not falling damp. Most times a quick inspection around the wall and floor junction will find out if it’s rising damp or not. Look for staining or flaky or powdery paintwork and in some instances the timber skirting boards decaying and rotting. 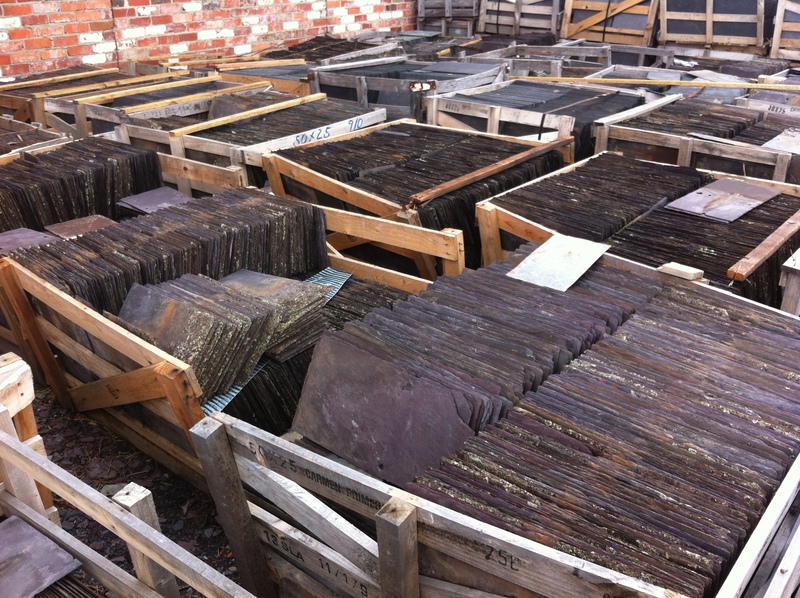 So there you have it … the most commonly seen signs indicating that your slate roof may need some repairs. Small leaks nearly always turn into larger ones. And large ones always lead to some kind of extensive internal repairs if left for too long.